POLSON — Providence St. Joseph Medical Center is proud to announce that Dr. Terry Smith has joined the Providence St. Joseph Clinic as the new Board Certified Internal Medicine Physician. “Dr. Terry Smith will be an incredible addition to our staff. He is an excellent physician with a wealth of experience and will be immediately available for new patients to expand our community’s access to primary care,” said James Kiser, chief executive of Providence St. Joseph Medical Center. Dr. Smith offers services for internal medicine, family practice and gastrointestinal procedures. Dr. Smith completed his residency at Tucson General Hospital in Tucson, Ariz. and is board certified in internal medicine. He attended medical school at Western University of Health Sciences College of Osteopathic Medicine. 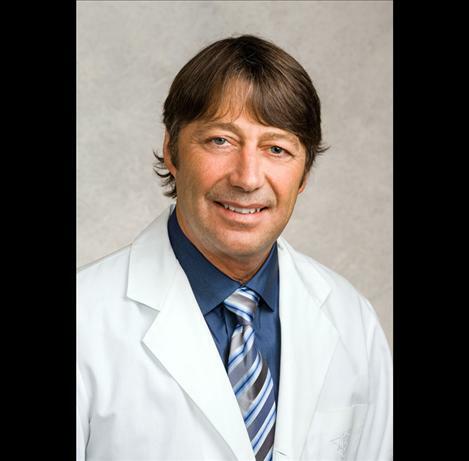 To schedule an appointment with Dr. Terry Smith, call Providence St. Joseph Clinic at (406) 883-5680. Same and next day appointments are available.